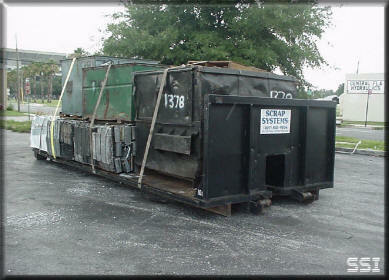 Roll Off Flatbed - Scrap Systems, Inc.
Flatbed Roll Off Containers – Easy loading for palletized and packaged scrap. Also ideal for oversized material & equipment. Scrap Systems, Inc. only uses high quality containers and late model trucks to ensure Reliable service and customer satisfaction.